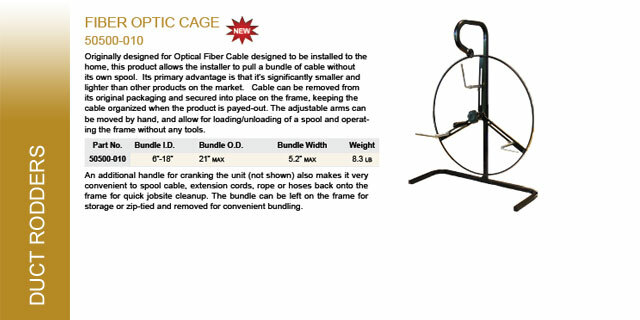 Originally designed for Optical Fiber Cable designed to be installed to the home, this product allows the installer to pull a bundle of cable without its own spool. 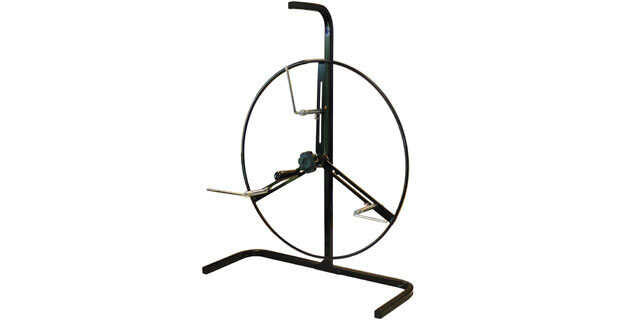 Its primary advantage is that it’s significantly smaller and lighter than other products on the market. 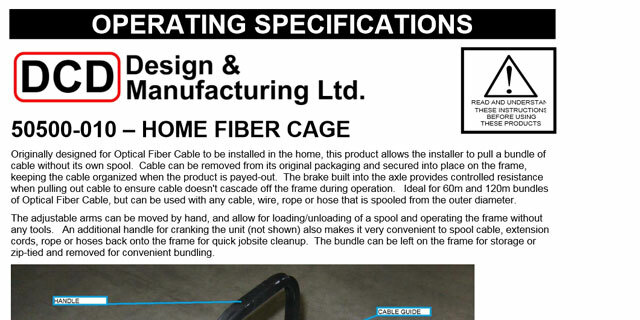 Cable can be removed from its original packaging and secured into place on the frame, keeping the cable organized when the product is payed-out.